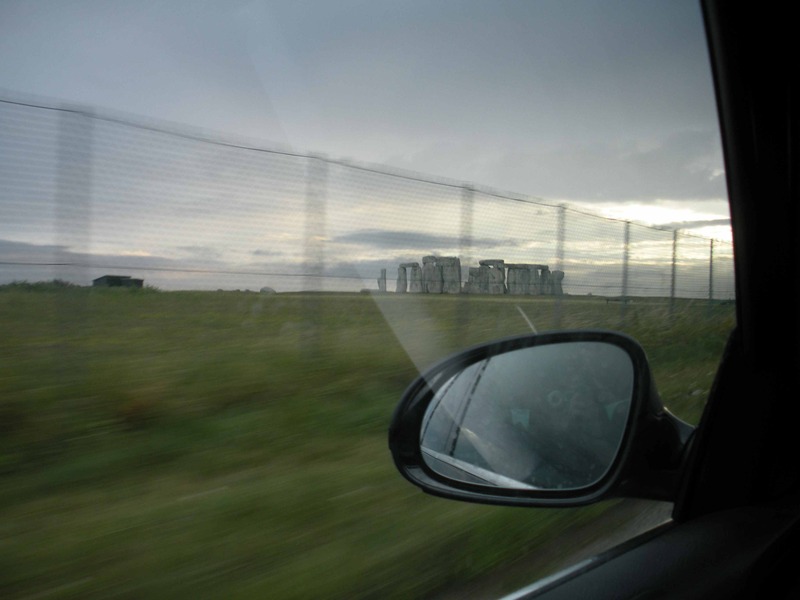 Among the innumerable sites we visited across the Atlantic: Stonehenge. Perhaps it’s a bit generous to say that we visited it. Really, we accidentally passed by it on the way to our rented cottage somewhere in the general vicinity of Bath. I spotted it as we were coming down a hill— “Is that Stonehenge?”— I asked, half-wondering, half-exclaiming. Ricky laughed— of course it was Stonehenge. How many henges could there be? I feel like there might be more than we expect; even so, it was an astounding thing to stumble upon. The best that I can usually hope to find on one of my long drives is a Target or a Dunkin’ Donuts. One moment, the landscape was a beautiful and unrelenting expanse of hills and sheep— then all of a sudden, it was broken by this passing glimpse. It was just enough henge for me, really. Quite perfect. It does make me wonder how many other henges there are out there. That seems like a good project for today.